Check out our guide to the best bicycle insurance to see if Wiggle is featured. Cycling retailer Wiggle launched its specialist cycling insurance in 2015. Like PedalSure, Wiggle offers insurance just for cyclists (for the rider, not the bike) in its Assist policy. It acts a little bit like a specialist health insurance policy by providing personal accident cover and payouts for emergency, physio and dental care. This policy will also cover you for third-party claims. Wiggle's middle tier of cover, Essential, will also protect your bike against accidental damage and theft, while Elite, its highest cover, offers all of this plus worldwide and competition cover, among other benefits. You can learn more about cycling insurance with our cyclists' guide to insurance . It rounds up the best providers and has links to reviews of these companies. Because Wiggle splits its cycling insurance policy into three levels of cover, the benefits of each are listed below. How much does insurance cover from Wiggle cost? Unlike some other cycling insurance companies, Wiggle does not vary its prices by postcode - so insuring a bike in London will not be more expensive. Premiums will depend on the value of your bike and the level of cover chosen. For example, Assist cover has a flat rate of £2 a month. If you want to add Active cover it bumps the price up to £2.51 a month. The cost of Essential cover depends on the value of the cycle you want to insure. For example, a Trek bike worth around £1,500 would cost £10.79 a month, or £129.37 per year to insure. If you want to add extra cover onto an Essential policy, this will increase the cost. So if you added global cover , this will increase the premiums to £12.55 a month or £149.39 per year. The cost of Elite cover, which includes the benefits of both Assist and Essential, plus additional extras like global cover and competition cover, also depends on the value of your bike. So the same £1,500 Trek bicycle would cost £14.28 a month or £171.25 a year to insure. However, a comprehensive policy from Bikmo Plus would cost £9.65 a month. And that is without the exclusive 10% discount Bought By Many has negotiated for members of our cycling group. What do Wiggle insurance customer reviews say? 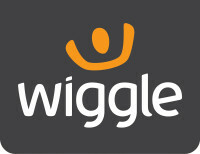 Wiggle does not currently have any online customer reviews for its cycling insurance.